With a majestic coastline stretching for more than three and a half thousand miles and 289 natural beaches, it's not surprising that Cuba is one of the world's most beautiful crewed superyacht charter destinations. On the northern coast, Cuba's white powdery sand beaches and turquoise waters of the Atlantic Ocean act like a magnet for yacht charter enthusiasts. The beaches in the south are less populated with tourists, making them absolutely ideal for tranquillity and seclusion. 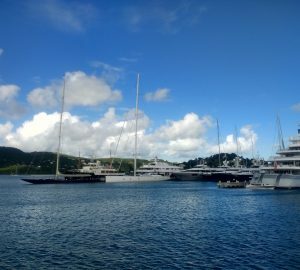 The steady breeze in this part of the Caribbean makes the location ideal for sailing yachts and especially luxury catamarans. 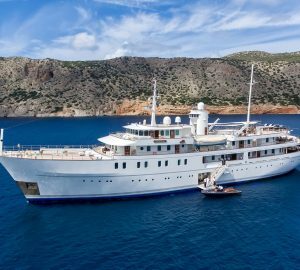 A yacht charter specialist like CharterWorld will ensure your Cuba yacht charter on a luxury superyacht exceeds all your expectation and that you return from your holiday relaxed and with plenty of exciting experiences to share. Our dedicated and professional team of brokers will assist you in creating a made-to-measure vacation with a personalised itinerary aboard a yacht that best suits your requirements, desires and budget. Contact us here. There are plenty of exciting places to see and things to do in Cuba for holidaymakers. Drop anchor at the Marina Hemingway in Havana, the island's capital and major tourist hotspot. Walking around Havana is the best and easiest way to experience what this fascinating city is all about. Take a stroll along the Malecon sea wall where the friendly locals like to party at weekends. During your stay here don't miss out on the opportunity to visit the Museum of the Revolution, the Capitol Building, a cigar factory, John Lennon Park and the Catedral de San Cristobal. After exploring Havana return to your crewed superyacht where no expense has been spared. 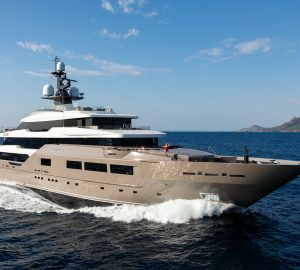 Today's mega yachts offer passengers everything from high speed internet, plasma screen satellite TVs as well as a wide range of water toys. Friendly crew will get out the water skis, jet skis, wave riders, wind surfers along with scuba gear so you can enjoy being on and under the water. If you just want to chill out and relax, no problem. 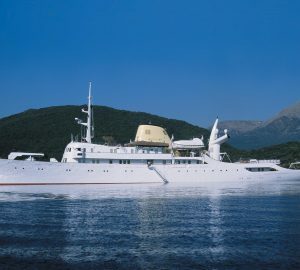 There's plenty of separate, spacious decking for sunbathing, soaking in a hot tub, having a cocktail or two while reading your favourite novel, as well as for sumptuous dining. 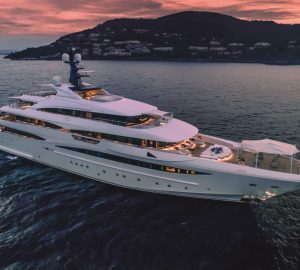 Crew members provide their guests with a five star hospitality service on mega yacht charters, many vessels now have their own beauticians, masseurs and even diving instructors. Your skipper can arrange the perfect Cuban luxury yacht charter so you have a vacation of a lifetime. Set sail for the Varadero region, one of the well-known tourist areas in Cuba. It has unspoilt beaches, clear waters and the island's only 18-hole golf course - the Villa Du Point Golf Course. Bellamar Caves are well worth a visit and Parque Josone, a funfair park, is great for the kids, giving them the opportunity to swim with dolphins. For something a little different during your Cuban motor yacht charter vacation, try deep-sea fishing. You never know, you might be lucky to catch different kinds of marlin! You personalised itinerary could include a cruise towards Cienfuegos where you can dock and have lunch. 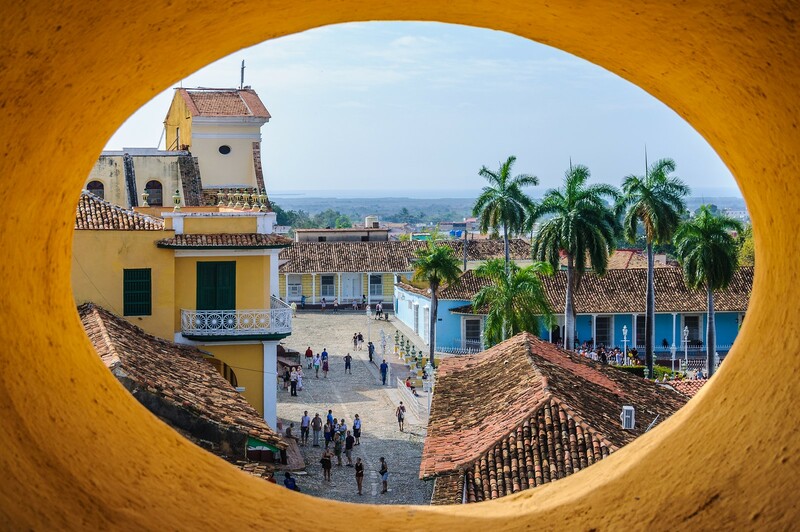 Known as the Pearl of the South, Cienfuegos is the only city that was founded by the French with a unique feeling as it is a little different to other Cuban cities. The city features wide boulevards, tree lined avenues and laid back atmosphere. The great thing about a sailing yacht charter vacation is that guests have the flexibility to decide from one day to the next what they would like to do. After a day of onboard and onshore activities take in the warm evening air while enjoying al fresco dining on the deck. Choose a movie from the onboard library so you can wind down and relax. 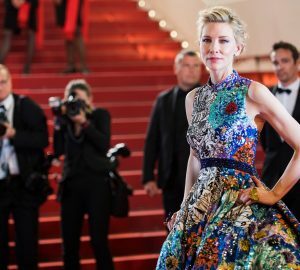 Many luxury yachts have their own private theatres where you can watch a blockbuster movie on a screen underneath the starry skies. Have you been captured by the idea of an adventure-filled Cuba yacht charter? 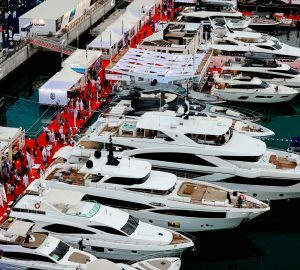 Then don't forget to approach a company that has access to all the yachts … And choose an impartial one like CharterWorld, which keeps your best interest at heart as proved by our clients' continuous feedback. 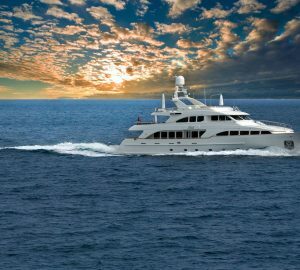 We are the largest and most dedicated broker specialising in luxury yacht charters around the world. For more details on Cuba yacht availability and a personalised itinerary, please contact our experienced brokers who will be pleased to assist you in organising your next dream holiday in Cuba. 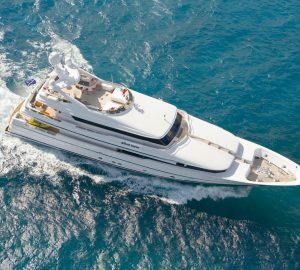 Below is a selection of yachts available for charter in the Caribbean, as well as the latest news related to Cuba. Don't forget to send us a message, so we can send you the list of the latest yachts available for charter in Cuba! Explore Location Guides for great destinations near Cuba .